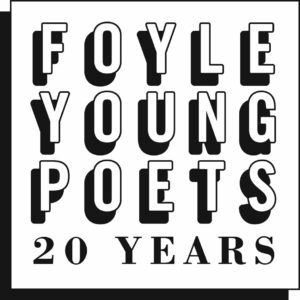 Welcome to the fourth instalment of Foyle Friday, our series of interviews with former Foyle Young Poets and judges celebrating 20 years of the Award. 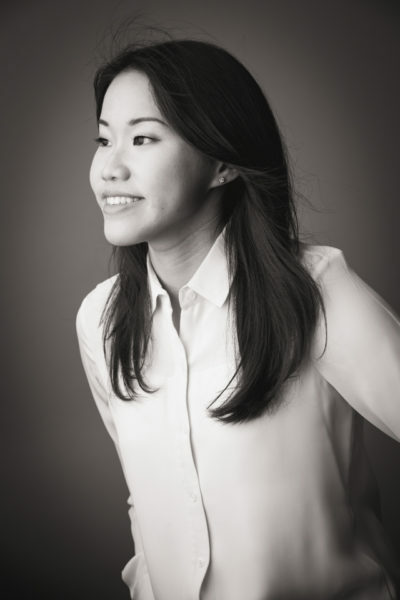 This week we’re featuring two super talented FYP winners: Singaporean lawyer and poet Amanda Chong, and six-time winner and Poetry Business author Phoebe Stuckes. If you are 11-17, or you know someone who is, now is the time to enter this year’s Award, for the chance to change your life. Enter by 31 July 2018! FYP: Top 15 winner in 2005 and commended in 2006. What did winning mean to you? I was thrilled. I remember rushing down the stairs hollering about my win to my mother, who was a little perplexed as she had no idea I even entered a poetry competition in the UK. The Singapore newspaper published my winning poem, and to this day my mum still has the article framed on her wall. Poetry is one of those things you’re never quite sure you’re good at, although as a teenager, you may long with great affectation to be a ‘real’ poet. Winning Foyle allowed me to embrace that term with a slightly greater sense of legitimacy, particularly since two brilliant poets George Szirtes and Colette Bryce had somehow found me worthy. The highlight of winning was the Arvon Course at the Hurst: it was the first time I had seriously workshopped a poem. We also had much fun writing poetry on bananas at breakfast. What did you go on to do? I ended up reading law at Cambridge and specialising in international human rights at Harvard. I didn’t write a poem for years whilst knee-deep in legalese. Lots of the FYP winners in my year read English. I was at Cambridge with Alice Malin and Julia Rampen (winners in my year), and we used to meet up for poetry dinners. They were always writing, so I lived vicariously through them. After a four-year hiatus, I started writing again in around 2013 after moving back to Singapore. It was a way of coping with a slightly disorienting new world – so many skyscrapers and subway lines had spawned in my absence. What are you up to now? I am still a full-time lawyer, but I published my first poetry collection, Professions, in 2016 with Math Paper Press. I am stoked that it has been shortlisted for the Singapore Literature Prize, judged by Simon Armitage, Pooja Nansi and Alfian Sa’at. Professions is a poet’s directory of heartbreak, gender and power. In honour of the Prize shortlist, it’s 20% off until August 2018 with the code SLP2018. You can find out more about what I’m up to at www.amandachong.com. Top tips for poets? While writing is largely a solitary endeavour, I’ve learned to never underestimate the importance of a good workshop group. My collection went through heavy workshopping by a fantastic group of writers, from the individual poems down to the sequencing of the poem within the collection. Apart from gaining lots of insightful feedback from others about your own work, workshops also train you to be a sharper literary critic of others’ work, and also ultimately of your own writing. Advice for your teenage self? I would tell my teenage self to read as much as possible: the first step to being a good writer is developing good taste. I used to agonise a lot about finding my ‘voice’ – but that really comes from lived experience. Craft, however, can and should be learnt. I read a fair bit as a teenager, but I wish I’d read more – there will be no other phase in your life (except perhaps retirement) when you have such a vast expanse of time to spend dwelling with books. FYP: A six-time winner, commended in 2009 and 2014, and won four more times in between (2010-2013). What did winning mean to you? I think poetry was the first thing I ever thought I was any good at. I can honestly say Foyle changed my life: it encouraged me to apply to study English literature and creative writing as an undergrad, and it helped me believe that writing could always be a big part of my life. Favourite poet then? I was very preoccupied with Sylvia Plath as a teenager and still am. 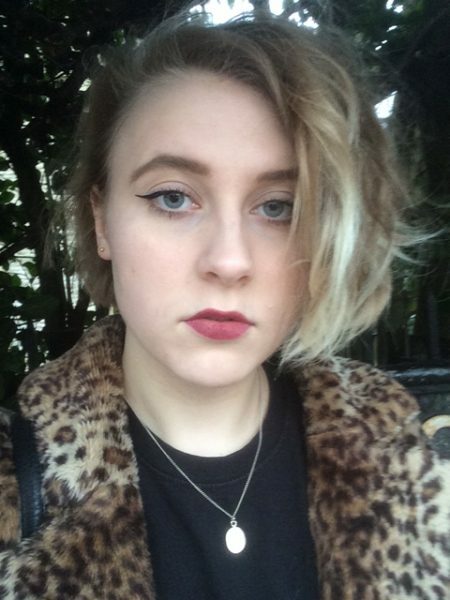 Favourite poet now? The things I’ve most enjoyed reading recently are by Sophie Collins, Richard Scott and Morgan Parker. I can never pick just one favourite poem because I love too many of them too much. What are you up to now? I’m studying for an Mst. in Creative Writing at Oxford and I’ve recently completed a commission for the ‘Bedtime Stories for the End of the World’ podcast. Also my pamphlet Gin & Tonic came out last year and is available from The Poetry Business. Top tips for Foyle entrants? Read a lot of poems, far more than you think you should, and send in your poems – it’s free! The Foyle Young Poets of the Year Award is an opportunity for any young poet aged 11-17 to accelerate their writing career. Since it was founded in 1998 the Award has kick-started the career of some of today’s most exciting new voices. This year the Award celebrates its 20th anniversary, with lots of exciting activity thoughout 2018. These contests will be interesting in books and poetry series. May the best poets and writers win as the games begin.